Firstly, although I find the reading interesting, I am quite overwhelmed by the amount of writing and data available on the topic. Many theories make sense and many of the models would be useful. Which one do you choose? I agree with Herring (2006, p. 6), that schools need to clarify their views on information literacy, but what a difficult task when there are so many theories, definitions, processes, and models to consider. Like Herring I believe that information literacy, once there is a common understanding, should be developed across the school. There should be an information literacy policy that is regularly consulted, continually updated and applied across curriculum. At times I feel I have so much to learn about technology to keep up. Yet, I find Lorenzo’s statistics fascinating – only confirming that ‘NetGeners’ are excellent users of technology but in terms of learning, generally don’t try to understand, think or care about where the information comes from. I know that I have the advantage there and can see that one of my roles is to guide students to better understanding and use of the information available to them. It appears that the term ” information literacy” is quite ambiguous and somewhat inconclusive. There are varied explanations deriving from many different schools of thought. Langford (1998) provides an excellent overview of the”multiplicity” of definitions. 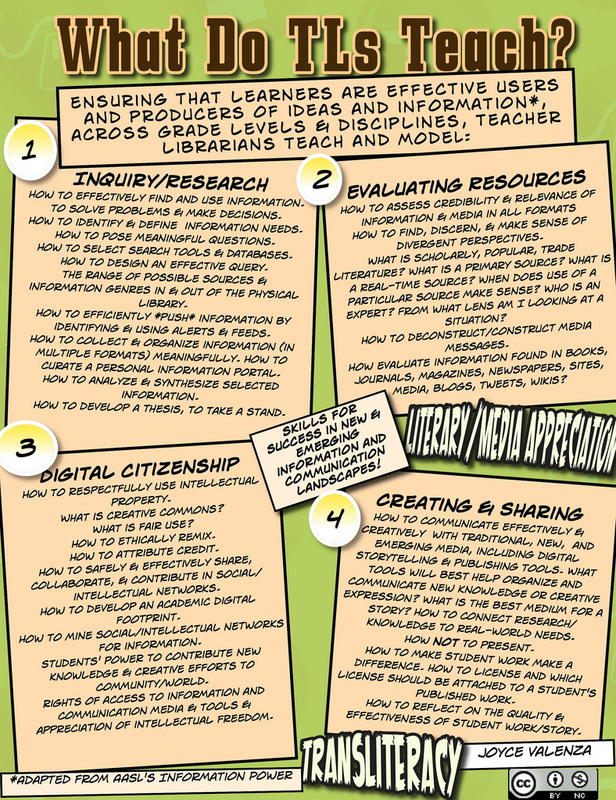 Is “information literacy” a concept or is it a process? Is it a set of skills, behaviors or attitudes, is it critical thinking or a new form of basic literacy? I tend to agree with Doyle’s (1996) definition that information literacy is a set of personal attributes, the “ability to access, evaluate, and use information from a variety of resources, to recognise when information is needed, and to know how to learn”. Information literacy is an applied concept which relies on a process to attain skills for using information to learn and continue life long learning. The process being information literacy skill building and the outcome being an information literate society, enriched with empowered life long learners. (Doyle, Candy). I also like Owen’s (1996) idea that information literacy is demonstrated by the capacity to critically appraise information and ideas due to the ability to access and use information confidently and effectively and that this outcome applies to all areas of life, school, work, business or leisure. In education, I believe that information literacy should be synonymous with other essential learning areas e.g. literacy & numeracy in terms of importance and necessity. It is the responsibility of ALL educators to incorporate information literacy into curriculum and everyday classroom practice to develop information literate students/communities. Doyle, C. (1994). Information literacy in an information society: A concept for the information age. Retrieved from CSU Library Catalogue.